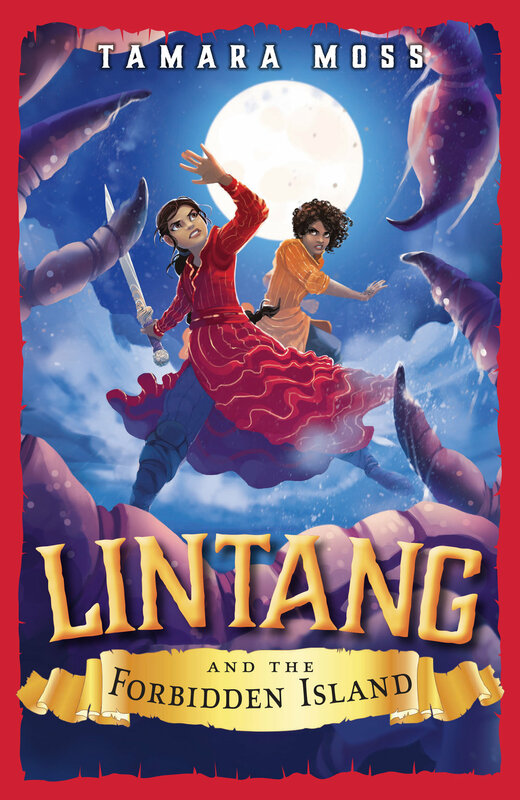 US Cover for Lintang and the Pirate Queen! So excited to reveal the US cover for Lintang and the Pirate Queen! Buy a copy Nov 5th, 2019. Lintang and the Brightest Star Book Launch! Three book launches in a year - kind of dizzying! This time, Rabble Books & Games has kindly offered to host my book launch. Come along for delicious cake, and I'll sign your book! Details on the Rabble Books & Games Facebook page. I've been waiting so long to show you the incredible cover of Lintang and the Brightest Star (out July 30th), and at last, here it is! The third book in the Lintang series has an official title and blurb! A prophecy has been spoken. A monster has awoken. As the conquering hold of the United Regions continues to spread, time is running out for Lintang, Captain Shafira and the crew of the Winda to find allies in their quest for peace. But when they arrive in the war-torn country of Kaneko Brown, the rebels who were supposed to help turn them away. The rebels are scared – the Vierzans have summoned a category ten mythie that devours the star of anyone who dares stand against them. Worse, the mythie has been prophesied to mean the end of Captain Shafira. Lintang must find a way to stop the most dangerous mythie in the guidebook … or she’ll lose her beloved captain forever. That's right! Lintang is a Children's Book Council of Australia Notable! This is INCREDIBLE! I'm thrilled to announce that Lintang and the Pirate Queen has been shortlisted for the 2018 Readings Children's Book Prize! Lintang is among five other wonderful Australian books on the list. I feel so honoured! Lintang and the Forbidden Island was officially launched yesterday at Boffins Books! My best friend made an amazing cake, and we sold heaps of books. I was thrilled to see some of my students there, too. My book launch for Lintang and the Forbidden Island is today (hooray! ), and to celebrate, I'd like to bring your attention to the amazing fact that Lintang and the Pirate Queen is available in a large print edition AND a dyslexic edition. Isn't that incredible? After the author copy comes the box! Not long now until my baby's out in the world. Keep an eye out in Australian bookstores from Jan 29th, 2018. My Author Copy of Lintang and the Forbidden Island Has Arrived! Isn't it beautiful? Not long to go until it's in stores! Lintang and the Forbidden Island book launch! Lintang returns for her next adventure very soon! Lintang and the Forbidden Island is officially released on 29th January 2018, but the book launch will be hosted at Boffins on 3rd February. Bring your yo ho hos along to Boffins in the city and come say hi! Lintang was in great company - there are so many amazing West Australian authors. I'm lucky to be in this region. While I've been doing a few school visits this year, I'm also scheduled to appear at the Backyard Book Fair in the State Library of WA on 2nd December. Come see me! My presentation's at 11.20 am. There are so many other awesome authors coming along too. Find out more information and grab your (free) tickets here. I was incredibly excited and honoured to discover that Lintang and the Pirate Queen has made the Readings Books top 10 middle grade fiction of 2017 list! Super stoked author right here. At last! 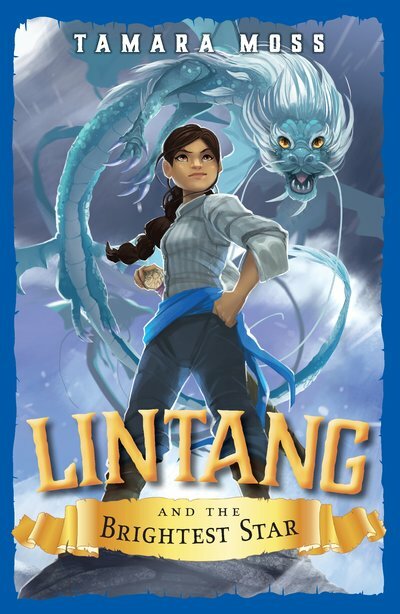 I can share the beautiful cover for Lintang and the Forbidden Island! It's honestly the most beautiful cover I've seen in my whole life. Marissa Meyer was kind enough to host the reveal on her blog. I have been so sick these past two weeks. It's been a long time since I've been bedridden with a cold and a sore throat. I didn't miss it! Lintang and the Pirate Queen is well and truly out in the world. I've been doing phone interviews with various newspapers, blogs, and magazines, and I've done my first school visit. I've also been invited to some writers festivals! I'm planning on doing a lot more promotion next year, too. I've gone through first pass pages for Lintang and the Forbidden Island, which means A4 pages have been printed up and typeset to look like how the real book pages are going to appear. The cover is absolutely gorgeous - I hope to be able to reveal it soon! Book 3 still doesn't have a title. I received structural edits back but have decided it needs a major overhaul, plot-wise. I'm working hard to rewrite many scenes. Perks of being a writer, right? But I'm looking forward to making it the best it can be. Luckily school holidays are coming up! As for the super secret project, I've been working on that, too. I've sent the first twenty pages to my editor for some feedback, and once she gets back to me I'll pitch it to my agent. Fingers crossed! It's all very well and good when you have a writing deadline to meet, because you have to have your manuscript finished by a certain date. But what happens when you don't have a publishing contract? Or any way to force yourself to be accountable for completing a first draft? If you already understand why it's important to complete the first draft (you can't edit a blank page, people), you're a step there. The next part - the setting a self-appointed goal - can be harder. If you want to start querying by December, say, how do you make sure you've done a first draft and an editing round by that stage? It's even harder with first drafts because you have no idea how many words the manuscript will end up being. For Lintang 3, I didn't have a deadline because at that point I didn't have a contract. I wanted to write a first draft of it just in case, though. While I was waiting on copyedits for Lintang 1 and structural edits for Lintang 2, I set myself a goal of 500 words a day. Not much, but with full-time work and other manuscripts to think about, this was the perfect amount. I could get that done if I woke up early, or churn it out after school, even if my brain was fried. I'm not saying it was easy. That first draft was an uphill climb the whole way through. Some days the words were so difficult to get out, I had to tally each hundred words to get myself to make the target. The next few drafts were better, but that first one was awful. I'm not sure I would've made it through if I hadn't given myself such a small, achievable goal. This kind of strategy is good for when you just want a draft finished, regardless of when it's finished. For the Super Secret Project I'm working on now, again, I don't have a deadline, but I want to submit it to my agent by the end of the month. (My agent has a book-by-book contract, rather than taking clients on for life.) Now, I won't be anywhere near finished this book by the end of the month, but I'll be a solid chunk of the way through the first act and she'll have a good idea what kind of story she's looking at. I'll also have a synopsis prepared, telling her where the plot's going. How I've set the goal this time is based on the advice of my crit partner, who warned me to write at least 50 pages before pitching it to anyone. That way I know whether it's going to last, or whether this Shiny New Idea will fizzle out (as so many Shiny New Ideas have in the past). So I need 50 pages written by August 31st. I currently have 21. I need to think about work, bookstore tours, and Lintang edits. The way I'm writing this manuscript is slow and careful, so I need to pace myself, too. My goals are: by the end of this weekend I'll be up to 28 pages. By the end of next weekend, I'll be at 35 pages. The weekend after that, 48 pages. By the Thursday - last day of the month - I'll have hit 50. From there I'll see what my agent has to say, whether she has any suggestions, and whether she'll take this project on. From there I can reevaluate my goals without necessarily giving myself a word count. Note: buying pretty, goal-orientated things from places like Kikki-K have never not helped! Do you have your own way of getting that draft done? I'm Officially a Published Author! I did it! I'm exhausted, but I did it! It was the perfect weather for pirates - stormy and freezing. That didn't deter many from coming, thank goodness. We were all crammed in the school library and I signed book after book. And now Lintang and the Pirate Queen is out! You can find it in Australian bookstores. Here is a list of places you can buy it from online. It's almost 9pm on Friday. I said goodbye to my students for the weekend, reminding them for the millionth time to wear their pirate outfits on Monday (and to remember to come to the book launch AFTER SCHOOL). The forecast for Monday is hail, thunderstorms, wind, and rain. Cold, stormy weather, a proper pirate-y hello to welcome Lintang into the world. I just hope everyone still shows up to the launch. Meanwhile, I've written the first draft of Book 3, seen a beautiful cover for Book 2 (now officially called Lintang and the Forbidden Island), received a bouquet from extended family and a fruit hamper from my crit partner, and had a story written up for the local paper! I'm starting to get nervous. I walked into the staff room after the final bell had gone and had a sudden, jittery feeling of oh my god my book is coming out on Monday. I'm surprised it took so long to hit, actually. Guess I've been too busy with school. But no more lesson plans to do before the big day! They're finished. I'm organised. Still, I have something else to think about before the launch. As I have family flying in for the launch, my sister decided it would be the perfect time to have her hen's night. And, considering I'm the maid of honour, I've been in charge of sorting that out. I'm picking her up at midnight tonight and we'll start on all the fun things early tomorrow morning. At least that will keep my mind occupied! I won't have time to really start panicking until Sunday. Oh, and did I mention Lintang was featured in Total Girl's cool stuff? AND my publisher bought an ad for the entire back cover? THE AD LOOKS AMAZING, DOESN'T IT?